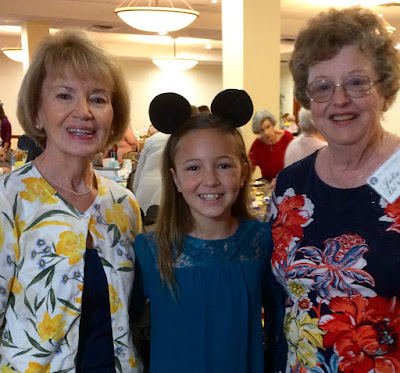 A sweet lady from my church invited Cissy and me to the La Tea Da tea party at a local church. We were invited last year, also, and this tea has been in the making since then. Oh, the detail that went into this special table. All the tables are decorated with a theme, and then they are voted on. One lady, Ely, decorated three of the tables, and one of her tables won the grand prize. I really thought that the table that we sat at would win, but I'm glad that one of Ely's tables won. Everything, and I mean everything, was Mickey Mouse related!! We had Mickey Mouse plates, flatware, tablecloth, nameplates, goblets, etc., etc. Just look at this darling teapot! The spout was cut off in the picture, but it's also a teapot. Isn't this teacup the cutest?? 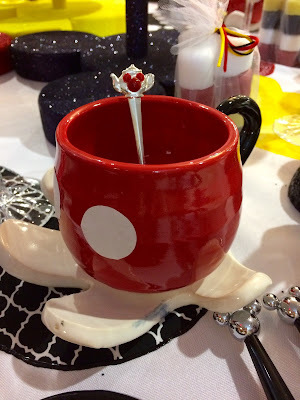 Even the spoon was adorned with jewels in in the shape of Mickey! 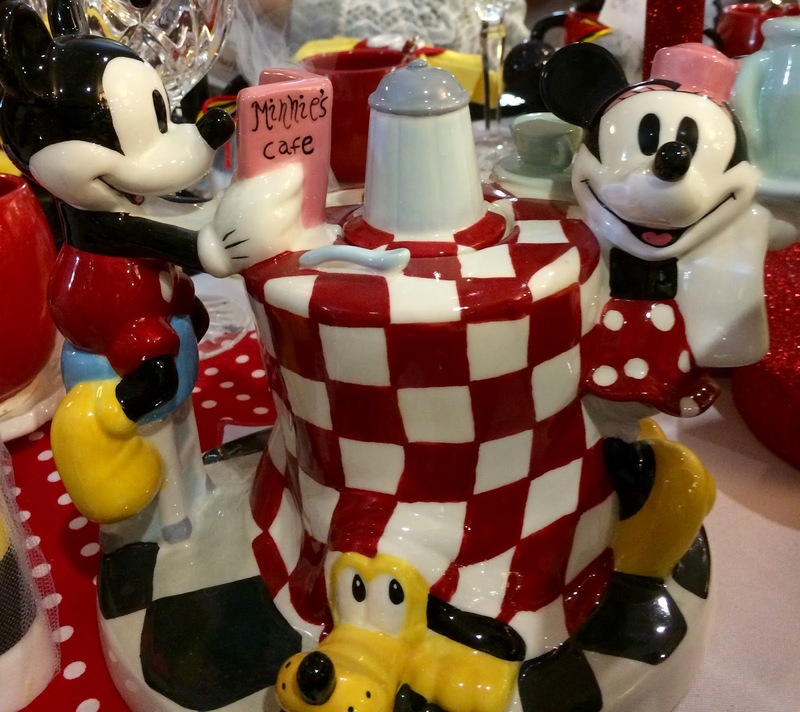 In the background, on the right, you can see our take-home gift of Mickey Mouse soaps!! Ely, the lady who devised the theme, gave Cissy a special Mickey Mouse purse, with little gifts included. I'm telling you, this was a day of special memories. 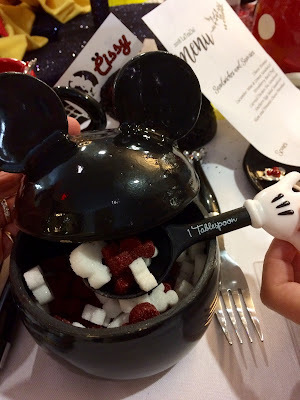 Ely even made the sugar cubes from a Mickey Mouse mold! Believe me, Cissy enjoyed munching on them, besides putting them in her tea. Here's our delightful menu! We were so grateful to be invited to this special, yearly event! Cissy and I wanted a picture with Julia, who was the "Mum" of our table, and who kindly invited us to the tea. Julia is also a widow, and Cissy and I sit with her at church, whenever Cissy spends the night with me. Julia helped with the decorating. The men of the church are the servers, and the menu was wonderful. Cissy and I loved checking out all the themed tables at the tea party, and of course we voted for our Mickey Mouse table to win! Thank you so much, for coming along with Cissy and I to our tea party. Here's one of my grandsons, and Cissy's brother, who won at his tennis match this past week! Way to go Caiden!! Here is another grandson, and another brother of Cissy's, who does such an awesome job at shot put! Way to go Riley!!! I can't believe your table didn't win Kitty!! Mickey Mouse everything! So cute, and what a fabulous party! Cissy is on her way to being a professional tablescaper! Such fun! Wow! Somebody is very creative! How wonderful that she uses that creativity to bless others. Sounds like so much fun! Those grandsons are very accomplished! Hi Kitty, the Mickey Mouse Tea party table is decorated so nice. I love that theme and the menu looked so nice. Thanks for sharing this at C&C with J&J. Have a nice week. How fun! With sugar cubes like that, that table should have won. Your grandchildren are gorgeous! 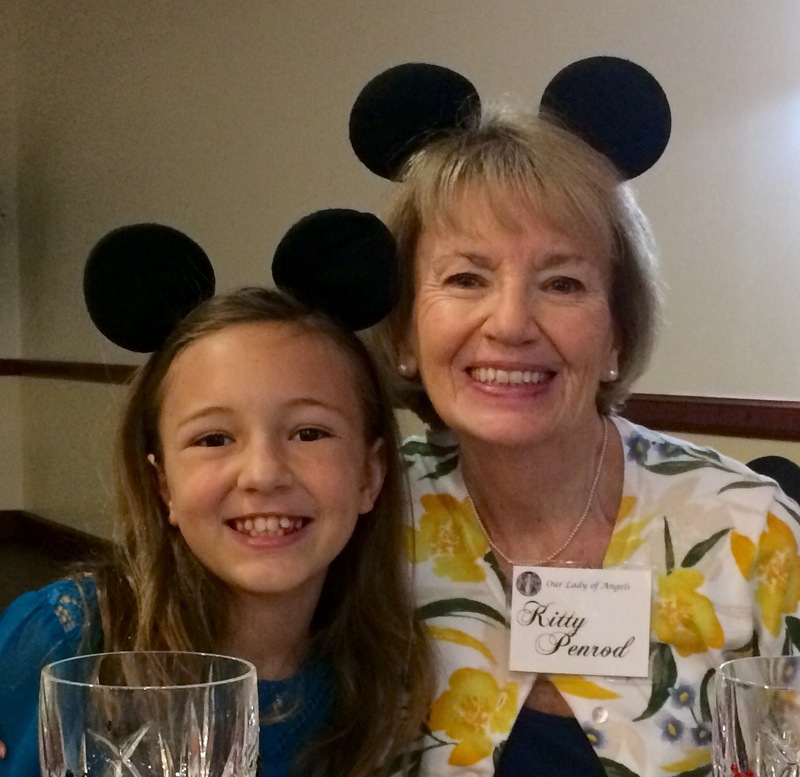 What a wonderful table,Kitty!The whole world loves Mickey mouse!Great time with your dear Cissy!Such creativity and beauty...Congrats to your Grandsons too!Hugs! Mickey certainly gets my vote! Wow, all of your details are amazing. I love the tea pot, of course, what don't I love on this table. What a fun event to go to. I will take several Mickey sugar cubes in mine, and maybe just munch on a few too. Too cute for words! Your Mickey Mouse table must have been the happiest table at the tea party. Oh Kitty...I truly enjoyed looking at the table you had the pleasure of sitting at during your tea party, WOW!! Everything was so detailed and those sugar cubes are darling! Love the photo of you three, just beautiful. Fantastic party details, Kitty! Love seeing your grandkids living and loving life! This post truly delights me Kitty! I can't get over that even the sugar cubes were mouse eared. May you have a wonderful week of lovely weather! A family chock FULL of talent!!! How did this table not win?!??!?!?!? And how did that other lady do THREE?!??!?!? Man...she must have a LOT of time on her hands! Not knocking her. Just saying. I just can’t imagine a table like this being beat out. You and Cissy did a terrific job with a TON of detail. (You know how I love detail!) So...as you plan for next year, go hard again like this, and I’m sure you’ll come out with a victory!!! The victory this year, besides having created a fabulously fun tablescape, was the time you spent together. That’s ALWAYS a winner! Congratulations all around! Oh no, Alycia, Cissy and I didn't decorate the table. We were just guests that were invited. We certainly enjoyed the afternoon of making memories. I'm sorry if I misled you in my post, into thinking that we did the cute theme. Ely was the creator extraordinaire! Hi Kitty, Well as far as I'm concern, your table won!! Love this table and all the details are amazing. Love the photos and you and Cissy together with your Mum for the tea. So much fun and I know you all had the best time. Great pics of your grandsons too. Congrats to both on their accomplishments and wins. Hope you are enjoying our warmer temps today. It's been so crazy this season but we hope spring has finally sprung!! Marvelous and fun! I'm sure you and your grand-daughter were in Mickey and Minnie tea heaven. Hope you have another fun-filled week! 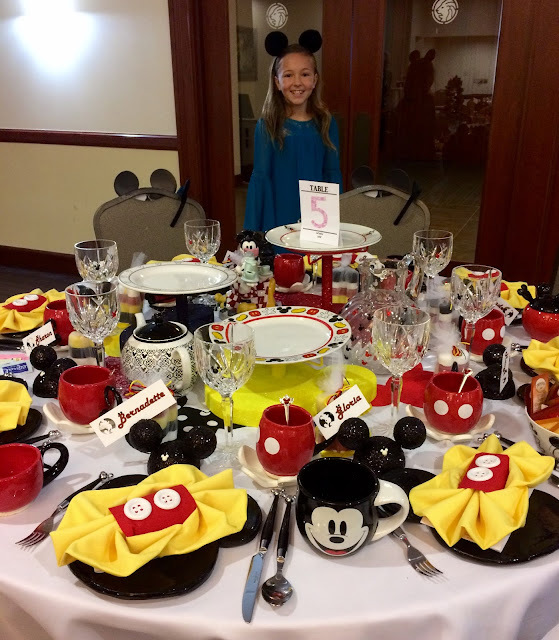 What a fun, fun tea party...darling table setting with all of that cute mousey stuff and the menu sounded heavenly! And congratulations to Caiden on winning his match and way to go, Riley! Nothing better than being with our grands! What a fun Mickey Mouse Tea theme. So glad your granddaughter is so close to her Nana. You two are always having so much fun! love the sugar cubes. I have several friends who would've definitely voted for the Mickey Mouse table, and they would've worn their ears, too. But I doubt they'd look as cute as you and Cissy in them! Dear Kitty: Now isn't that fun and I feel like singing M I C ...K E Y - m-o-u-s-e!!! Thanks for sharing this fun time with Cissy! Wonderful afternoon for your girl! What a very special tea and your tea table was just amazing. Your Granddaughter and Grandson are just precious, so happy for you that you get to spend so much time with them, special memories! Hope you are having a great weekend and thanks so much for sharing your with us at Full Plate Thursday! Oh Kitty, what an incredibly special day you had with your sweet Cissy. 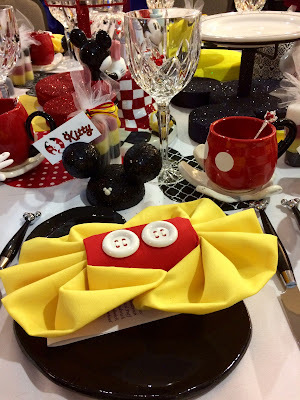 The table you sat at was just too cute and those Mickey Mouse sugar cubes were darling! Thank you for sharing your happy memories with us. 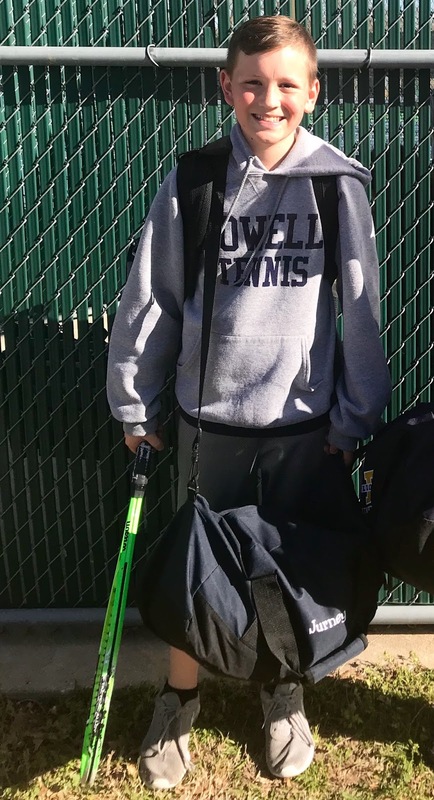 And congratulations to Caiden for winning his tennis match. You have a beautiful family, my friend. Love and hugs to you! How cute is that? Thanks for linking up to our Keep In Touch party. "Jagger Noas" (user that commented above) is a link spammer that posts comments so they can insert a link to the website that hired them. The same comments has been posted over 100 times on other blogs. Here's a search for a string of text from your comment so you can see for yourself that these blogs all have the same comments with a link to some page on the same site. https://www.google.com/search?q="We+attended+an+event+here+this+past+Sunday+%26+had+an+awesome+experience+from+beginning+to+end.+They+served+great+food"